In the town of Ittoqqortoormiit, East Greenland, sled dog tracks had patterned the asphalt before it had time to dry. It was a crisp September morning, and the mountains behind the town glowed in the autumn sunrise, the colorful houses beckoning from the coast. 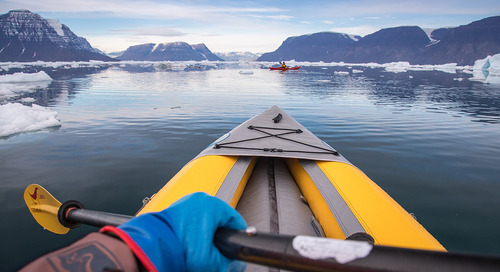 After days of traveling through pristine, uninhabited wilderness on our voyage with polar travel experts Quark Expeditions, arriving in a community felt like a tremendous surprise. 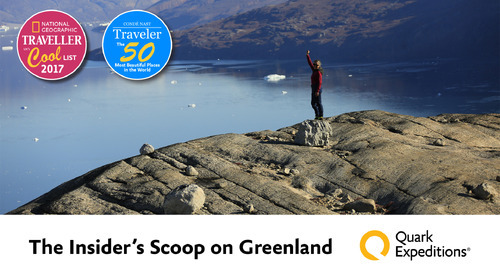 What’s more, the first Greenlander I met ashore was wearing a Quark Expeditions yellow parka. 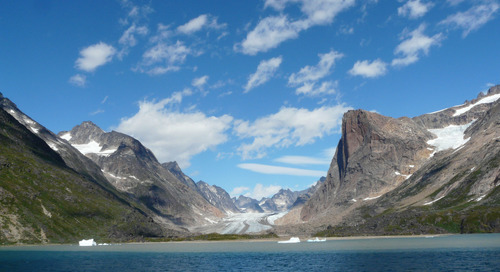 The town of Ittoqqortoormiit, population 400 – the northernmost settlement in East Greenland. 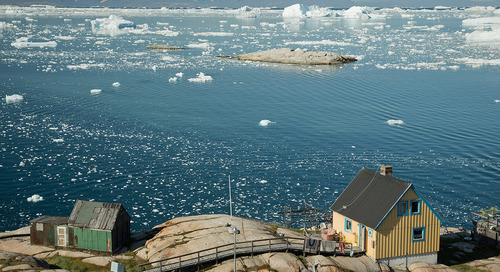 Many travelers to Greenland find themselves initially struck by its wildness: its vast and diverse terrain, its remoteness, and a cold, Arctic climate. 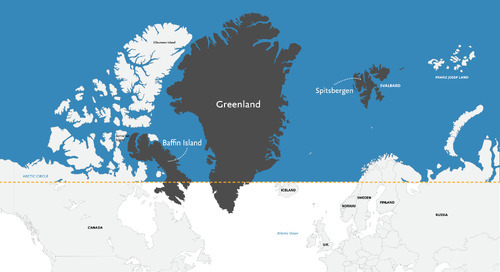 Indeed, it is a country dominated by ice, with 81% of its total area covered year-round by the Greenland Ice Sheet. 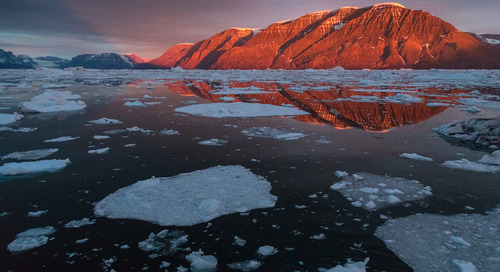 Its ice-free coastline, however, has supported a human population for thousands of years. 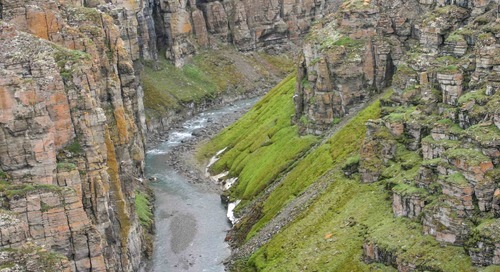 The first people to settle in Greenland were the Paleo-Eskimos, nomadic hunters who migrated in waves from Asia, across North America, from as early as 5,000 years ago. 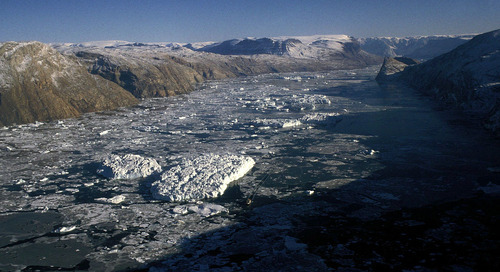 As millennia passed, and the climate cooled and shifted, the people of Greenland evolved, moved, disappeared, or adapted. 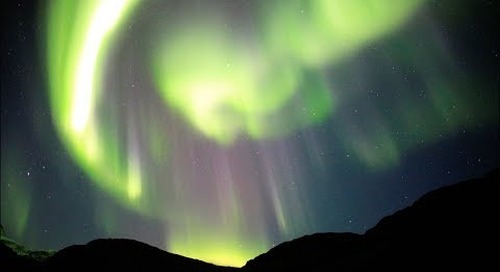 Eventually, they were surpassed by the Thule people, the ancestors of modern-day Greenlanders, known as Inuit. With superior technology such as sled dogs, kayaks, and the toggle-headed harpoon, the Thule were able to thrive along the majority of Greenland’s coastline. Their remarkable nomadic lifestyle revolves around hunting, fishing, and a rich oral tradition. The intricate details of a Greenlandic girl’s national costume, fashioned from beads, dyed sealskin, and cloth. The idea of a national costume – to be worn for ceremonies and holidays – is a Danish concept that has been adopted and transformed by Greenlanders into the outfits seen today. 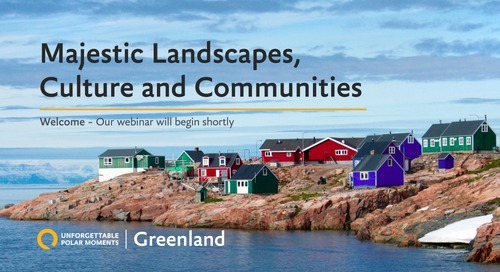 Today, Greenlandic communities present a fascinating blend of ancient Thule hunting culture and Scandinavian influence, as Denmark began colonizing Greenland in the 1700s. 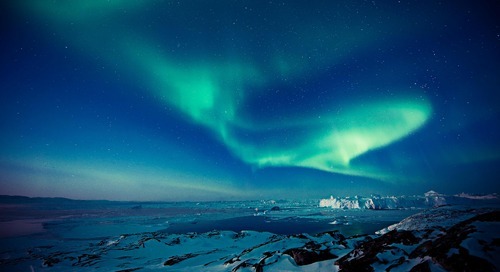 Although Greenland is moving towards increased autonomy, the country is still dependent on Danish support. 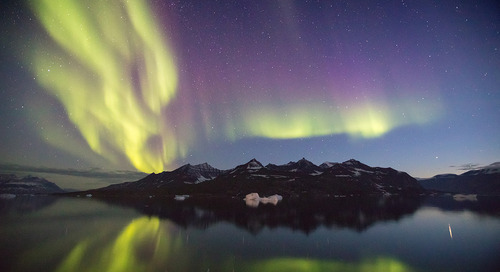 This often means higher education, better quality housing, and more opportunities for residents than some might expect in such a remote corner of the Arctic. Danish influence has also resulted in vibrant cultural fusion, such as the intricate national costumes, the colorful kit houses imported from Denmark, and the tradition of “kaffemik” – when locals open the doors of their homes to casually visit over tea, coffee, and cake. Brian Barselajsen models the Greenlandic national costume outside the door of the Ittoqqortoormiit museum. 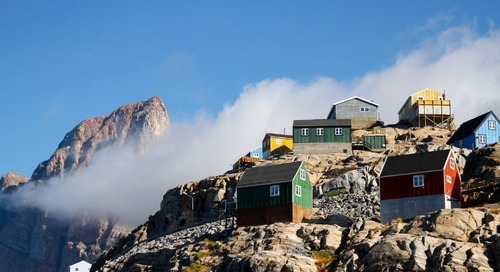 Colorful houses in Ittoqqortoormiit, East Greenland. 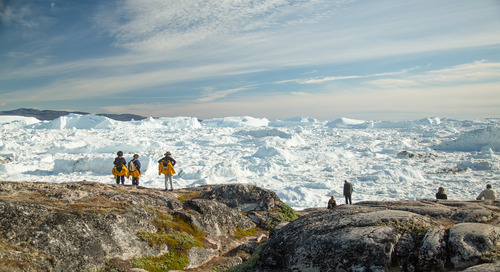 Throughout my career as a polar artist and photographer, I’ve been fortunate to spend two seasons living with the Inuit, cultivating a deep respect for the resourcefulness and resilience of their culture. 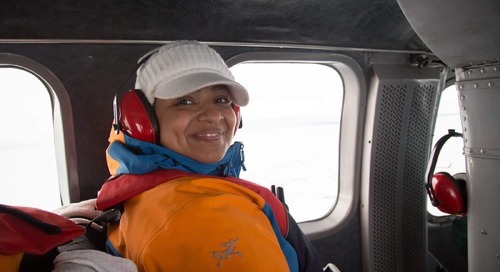 Therefore, in the eight seasons I’ve worked as a guide for Quark Expeditions, no aspect of my job gives me greater joy than helping foster authentic interactions with Arctic residents during our visits to small communities. Whether playing soccer with locals in the tiny west Greenlandic village of Itilleq, visiting families for kaffemik in Uumannaq, or sampling musk ox meat in Ittoqqortoormiit, I find these exchanges are some of the most cherished moments from any Arctic expedition. Bella Brandt, wearing the Greenlandic national costume, catches up with Quark Expeditions guide Lauritz Schönfeld in Ittoqqortoormiit. A Quark Expeditions passenger visits with Ittoqqortoormiit locals Bartholena Madsen (left) and friends. Visiting Ittoqqortoormiit with Lauritz was an experience in itself. While we stepped onto the beach, shaking hands and making polite introductions, Lauritz was swarmed by old friends who warmly remembered him from the 4.5 months he spent teaching at the local school. Everything came to life as he introduced us to locals, translated conversations, and led us to the elementary school – where schoolchildren were holding a craft sale, fundraising for a trip to Iceland for swim lessons. Our fellow travelers buzzed with their highlights of the day: a long conversation with the schoolteacher; a chance to buy locally-made art; watching a hunter feed his sled dogs as puppies scampered underfoot. For many, the most unforgettable moments were the simple, authentic meetings they had with the people they met. Quark Expeditions passenger Shridhar Sethuram jokes with Brian Barselajsen inside the Ittoqqortoormiit museum. A Greenlandic sled dog puppy offers a curious and enthusiastic greeting. Although most Arctic sled dogs are working animals and are not to be approached, puppies can be friendly – but always remember to ask the owner before petting them. Over the years, returning to many of these communities time and again, we always strive to make our visits two-sided, so that the community benefits from our visit as much as we do. 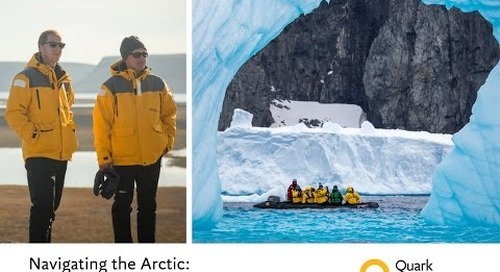 This ranges from hiring local guides and agents, to donating Quark Expeditions parkas, winter clothing, or fresh food to remote communities who have use for them. Most of all, it’s about encouraging genuine, open-hearted interactions, and creating room for unscripted moments of cultural exchange. Quark Expeditions passengers Africa and Andy soak up the sun on their first Greenlandic community visit to Ittoqqortoormiit. As we left Ittoqqortoormiit that September afternoon, I reflected on how a visit to any Greenlandic community deepens our perspectives of what we observe in the natural world. 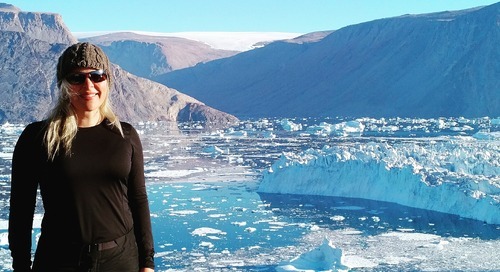 The more we can learn about Inuit culture, the more we can understand that everything we see – every plant, every animal, every weather pattern – is connected to the people, and the remarkable ways that they have survived here for millennia. In coming to understand what the land means to them, we can begin to decide for ourselves what the land means to us, transforming us into informed ambassadors for the Arctic, its environment, and its inhabitants. 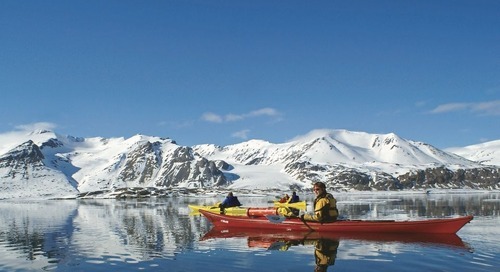 Plan an expedition trip to Greenland and see for yourself the beautiful culture that has been shaped here after thousands of years living in the Arctic. Browse itineraries today.